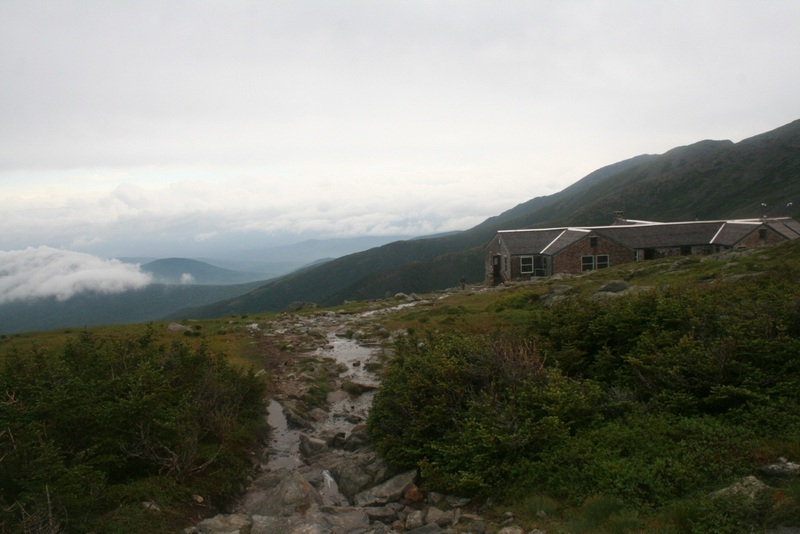 The 8 AMC huts in the White Mountains are spaced a day’s hike apart. Though not all hikes are created equal. For example, the 7-mile long trek from Galehead to Zealand Falls Hut was a thigh burner with close to 5,000 feet of elevation change, including a grueling uphill climb on the AT from Galehead Hut to the 4,902-foot summit of South Twin mountain. While the 4.8-mile hike from Mizpah Spring to Lakes of the Clouds Hut, if weather is decent, is for the most part a level ridge walk with astounding mountain views all around you. Whether your legs are weary or feeling strong after your day of bagging peaks, you can rest assured that once you arrive at any of the huts, they are clean and exceptionally well-run by the Hut Crew or Croo as they’re known in these parts. The AMC runs a well-oiled machine. All rooms and bathroom are dirt-free. Lemonade, hot water for tea, and usually a snack like frosted carrot cake is waiting upon arrival. At Galehead and Zealand Falls, we were told by the Croo to find any available bunk bed. Mizpah Spring and Lakes of the Clouds had designated rooms. My wife and I brought bed sheets, which worked fine, but many hikers simply bring a sleeping bag to throw down on the mattress. There are hooks nearby to hang wet clothing (after a day of sweating), jackets, and enough room to store packs and hiking boots.